Write for Us and Share your Story around the world! Here are some things that we can do together. If you would like to submit an idea, and guest post for our site. 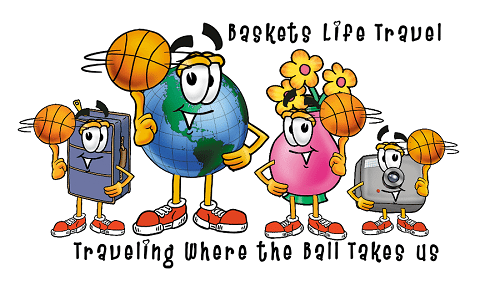 Please send us an email at stacey@basketslife.com with your idea, why you think your idea would be a good fit for us, and all the details. We will respond to you within 48 hours. Our rules are simple your post must be a good fit for our brand. If you don’t know what our brand is, then read our blog. Please don’t sent me a blanket contact can I write for you when you have no idea what I write about. All posts must be a minimum of 800 words. Our best stories have lots of details, and information. It would be helpful if your language is English, or you are very fluent in English. We will accept, photo essays, itineraries, video blogs, personal experiences, best lists, and are also open to your ideas. We will add a do follow link back to your site’s homepage, and will offer up to 2 additional links to relevant pages on your site, if they fit. We do not accept guest posts with commercial links. Remember, we are professional athletes, so if you want a link to your gambling site … sorry not our style .. and the Basketball Gods frown upon us gambling on sports. All photos must be your own, and High Quality. Our favorite size is no larger than 700 * 700 so scale them back or it slows down our site…. and no one likes a slow site. Your story must be grammatically correct, and error free. If you are not a grammar maven, get an editor. If I have to edit your post, I am going to send it to my editor, who rocks, but she does not work for free. You will be charged .03 cents a word, and will be sent the bill to pay before we will publish our work. So edit edit edit so I don’t have to. Don’t copy someone else’s stuff. If you can’t come up with something original then stop writing. I will run it through a plagiarism website and I will be a very unhappy person if your post has any resemblance to another story on the web. We will give you and author box and byline, with links to your social media accounts. We will also give you a do follow link to your site, and up to 2 additional links to your site if they are relevant to our brand. We will share your work across our social media sites, which include over 30,000 Followers. We are open to ideas and photo essays as well if you have some amazing photos in The Czech, Germany, Italy, Spain, or Lithuania we would love to hear from you and put up a photo essay of your beautiful photos. If you have some other ideas just give me a holler. We also have opportunities for paid writing from time to time and those will always be posted here. At the moment, I have a huge backlog of stories that need writing. I am currently looking for specialist in Czech, and Lithuania who can help me write some killer stories and itineraries. If you are an expert in these two countries please contact us, I would love to talk to with you. Thank you again for stopping by our Blog.